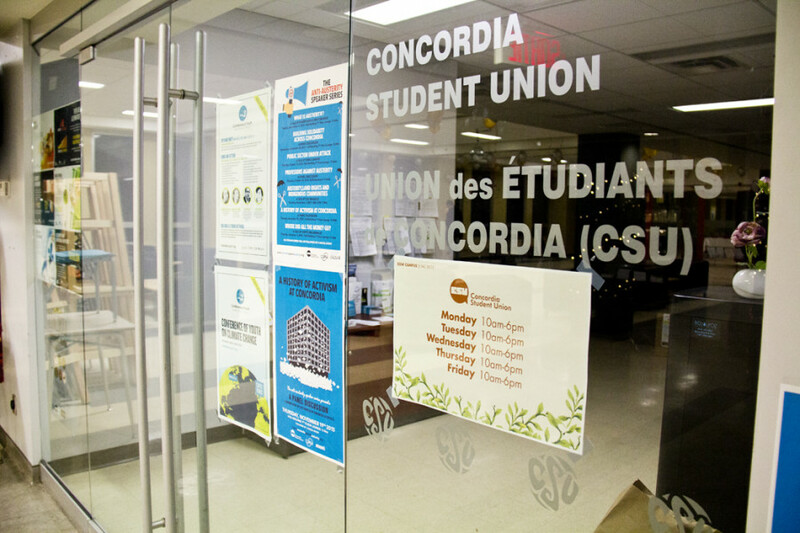 The Concordia Student Union has allocated $10,000 to the Fine Arts Student Alliance. The motion was passed at a CSU council meeting on Wednesday, after the Alliance found out that the CSU’s Chief Electoral Officer was taking down their posters. Roberts was unavailable for comment. FASA General Coordinator, Cleopatra Boudreau, contacted the CSU after FASA executives found their posters discarded. Other FASA posters were left one on top of another on the bottom of the bulletin board in Concordia University’s VA building. “It was just a frustrating situation because we also have events coming up,” said Boudreau. Half of the money, $5,000, was donated to “Art Matters“—a student-run art festival that is currently underway. Boudreau said that many of the posters that were taken down were hand-crafted silk-screen posters promoting Art Matters, and are not easily replicated. “It sends a message to Fine Arts students that the CSU elections are more important than their projects and the things that they’re working on,” said Boudreau. In addition, to “not being able [take into account] the amount of labour that went into every poster that was taken down,” according to Boudreau, the CSU allocated $5,000 to Special Project Grants at FASA’s request, which is used to fund student projects every year. Part of the motion also stated that the CSU will not be able to take down any posters that haven’t yet expired in any building. Boudreau said that postering has been an ongoing issue in the VA building. According to Boudreau, the 2015, 2016, and 2017 CEO reports recommended that the CSU contact other student associations, like FASA, to let them know when postering for elections would be taking place.